"My life has changed since I came under the care of Dr.Li and his warm, kind and attentive staff. Each one of them is always calm and smiling. I have received such excellent care from the pain management clinic, that there are hardly words to say how much of a difference it has made in my life." "This is the best I have felt in years. Over 95% improvement of my pain!" Chronic pain can be a very difficult and debilitating condition that can significantly affect a person’s life. That is why at PRIME Pain Institute we are dedicated to relieve your pain andrestore your quality of life. The first step is to identify sources of pain and directly address them rather than manage pain as a symptom. Through many years of experience and continued search for the best available treatment options, we have created a unique approach that incorporates cutting edge westerntechnologies and innovative, alternative medicine solutions. PRIME Pain Medicine Institute was founded by Victor Li, MD who blended his expertise in interventional pain medicine learned at University of Pennsylvania with alternative pain medicine solutions of acupuncture, low intensity laser therapy, deep myofascial therapy called PUSH therapy, and other unique treatment methods. Our approach was developed by Dr. Victor Li, a Board Certified Pain Medicine specialist, based on the unique blend of cutting-edge modern western medicine interventions and ancient eastern medicine and other alternative medicine techniques. This is the place where the West meets the East in attempt to heal and alleviate pain and to improve life quality. Our Goal is to address pain by eliminating its source rather than masking pain with pain pills. Actually, one of the main goals of treatments along with diminishing pain is decreasing or completely eliminating intake of pain medications. Dr. Li and his team welcome you to our Institute where thousands of patients were helped to cure or greatly diminish their pain. Dr. Victor Li has been practicing Pain Medicine since 2002 after completion of the Pain Medicine fellowship at the University of Pennsylvania and residency in Anesthesiology at Temple University Hospital. He has founded P.R.I.M.E. Pain Medicine Institute in 2005 and throughout his carrier developed a unique approach blending cutting modern and alternative treatment options. Dr. Li has an interest in various aspects of pain medicine including interventional modalities, low-level laser therapy, medical hypnosis, acupuncture, exercises, nutrition, and life style modification. In addition to medical degree, Dr. Li holds degrees in Intellectual Property Law and Business Administration. In his free time, he enjoys spending time with his family, traveling, practicing martial arts, and working on various projects related to healthcare. Stephen Pasquini is a physician assistant and California native with a background in family practice and urgent care medicine. He is a National Health Service Corps Scholar and graduate of the University of Washington with a degree in biological sciences. He received his masters degree in physician assistant studies at Rutgers University in 2004. In his free time he enjoys spending time with his wife and two children and can often be found stomping the trails of UCSC or trying to look cool on his longboard at Cowell beach. He is excited to have joined the team at Prime Pain Medicine institute and hopes to make a positive difference in the lives of his patients. William is a physical therapist for PRIME Physical Therapy. He received his Masters degree in physical therapy in 2006 and a Bachelors of Science in Exercise Science in 2002 both from the California University, Sacramento. He has been trained in Kaltenborn lumbar stabilization, Selective Functional Movement Assessment, Evidence in Motion techniques, and currently holds an MDT McKenzie Method, Mechanical Diagnosis and Therapy Certificate. He chose to become certified and McKenzie Method early on due to the philosophy of patient examination and patient self-empowerment. Helping educate patients with safe ways to allow them to decrease pain, manage their symptoms, improve her range of motion, and improve function and strengthening. He is also part of the IMC integrated medical care outcomes. IMC clinicians specialize in patients' outcome accountability. Throughout his career, he has talent group balance, back stabilization classes, and water therapy. He has worked with patients from different age groups, post-surgical, and patients who suffer from vertigo. 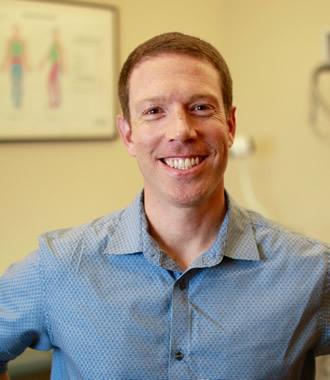 William is passionate about physical therapy, progressing patients so they're able to achieve their goals and improve their functional mobility. In his free time, he enjoys staying fit, hanging out with friends and family, jogging around Capitola, taking pictures of sunsets, and watching FC Barcelona. 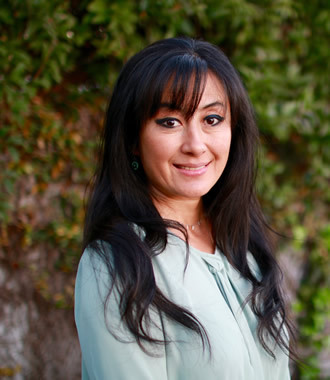 Gabriela is a California State Licensed Acupuncturist and Herbalist with a master’s degree in Traditional Chinese Medicine. She has extensive training in Integrative Sports Medicine Acupuncture and specializes in neuropathic and musculoskeletal pain conditions, stress and anxiety disorders and women’s reproductive health and fertility. She has successfully treated menstrual disorders, hormone imbalances, menopause symptoms, and chemotherapy-induced peripheral neuropathy (CIPN) from breast cancer treatment. She is currently working towards becoming a fellow of the American Board of Oriental Reproductive Medicine (ABORM). Before becoming an acupuncturist, Gabriela worked for the American Red Cross in the Bay Area as an Emergency Preparedness Community Educator and Disaster Relief Responder. Teaching basic life saving skills instilled within her a passion for preparedness and prevention that inspired her to study Eastern Medicine and empower herself and others to live a more balanced, healthy life. She takes an integrative and holistic approach to treating patients with an emphasis on helping them achieve a greater sense of physical, mental and emotional well-being. Her tools are simple, yet effective, having stood the test of time. With her knowledge of Western and Eastern medicine, Gabriela incorporates mind-body medicine techniques, Sports Medicine theory, nutrition and exercise into her acupuncture treatments. 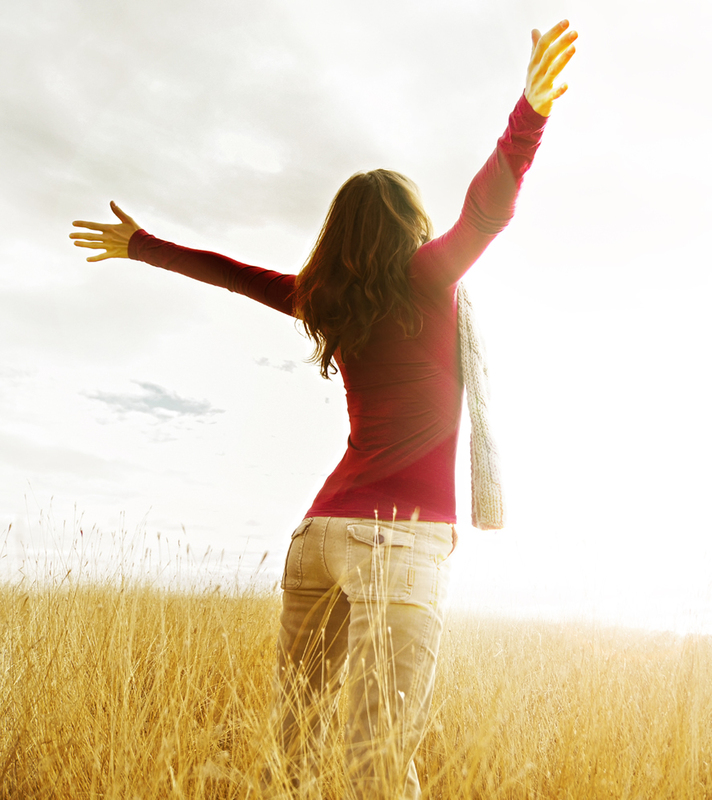 She guides and supports her patients as they find their path to optimal health and vitality. Ingrid Chegai is a certified PUSH therapist and a member of the Associated Bodywork & Massage Professionals (ABMP). Ingrid received her certification in PUSH therapy from its developer, Michael Takatsuno. Takatsuno, who practices in Mountain View, California, is the founder of PUSH therapy, PUSH trainingssm, and director of the PUSH therapy center. His extensive background in human anatomy, bodywork, and tai chi has allowed him to develop and practice this form of muscle therapy over the last 13 years. Ingrid’s mission is to empower her clients through transformative bodywork and compassionate care. She creates a caring, nurturing, and aesthetically pleasing environment that lends itself to clients’ relaxation and heightened awareness of their physical, mental and spiritual conditions. Our goal is to address your pain and get you back to an active life! Properly diagnosing the source of your pain is key to any lasting pain treatment. We offer many different treatments depending on your needs and underlying causes of your pain. Once your pain is better controlled, a physical therapy and exercise program will likely be started to help increase your activity levels. Any spinal pain can be multifactorial in nature and may be caused by problems in multiple anatomical structures. The goal of treatment is to accurately diagnose and treat each single problem starting from the most significant issues. First question one want to ask whether pain is worse in the lower extremities or in the lumbar spine itself. 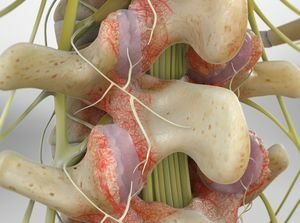 Typically, pain that radiates from the lumbar spine to the lower extremities may be caused by nerve compression caused by herniated discs. This type of pain is often worse with the forward flexion of the lumbar spine. 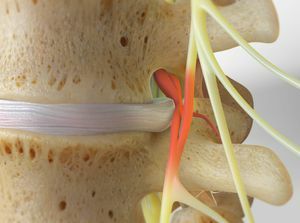 The other cause of pain radiating down to the lower extremities could be a narrowing of the small pathways where the nerves travel called foramina. Both structural abnormalities can be confirmed by MRI of the lumbar spine and may be treated with the series of the lumbar epidural steroid injections. Lower back pain that is not associated with radiation to the lower extremities called axial back pain, is very often caused by inflammation or degeneration of the small joints between the back bones called lumbar facet joints (form of arthritis that can be result of injury or chronic wear and tear). The pain is often worse with extension or lateral twisting of the lumbar spine. To confirm that diagnosis, patients undergo sets of two diagnostic injections with local anesthetics. 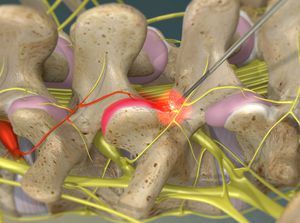 If each of the diagnostic injection provides even short-lasting pain relief (for few hours or days), it confirms the diagnosis of facet arthopathy and more definitive, longer-lasting (it typically lasts 6-12 months and can be repeated again) procedure called radiofrequency denervation or rhizothomy can be performed. Pain in the buttocks area can originate from sacro-iliac joints that can be treated with corticosteroid injections and sometimes with radiofrequency denervation or rhizothomy. Other structures causing chronic lower pain may include muscles, ligaments, discs, and hip joints. Treatment options directed to pain originating from these structures may include myofascial therapy, acupuncture, osteopathic adjustments, trigger point injections, physical therapy and exercise program among others. Low-level laser therapy is a very powerful alternative treatment option that can be effective for pain related to almost any structural abnormality but only used as a second line therapy due to lack of insurance coverage. Medications utilized for treatment of chronic pain provide only symptomatic relief and should be only used as an adjunct to more direct treatments at minimally effective doses and shortest possible period of time. In some cases, patients may need to have a referral to address the structural derangement causing their pain. Very often midback pain is caused by inflammation or degeneration of the small joints between the backbones called thoracic facet joints. 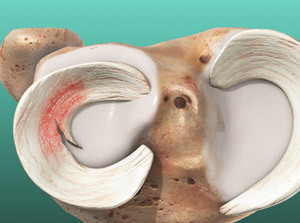 This is a form of arthritis that can result from injury or chronic wear and tear. The pain is often worse with extension and lateral twisting of the spine. To confirm that diagnosis, patients undergo sets of two diagnostic injections with local anesthetics. 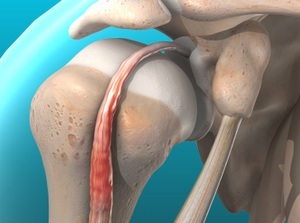 If each of the diagnostic injection provides even short-lasting pain relief (for a few hours or days), it confirms the diagnosis of facet arthropathy and more definitive, longer-lasting procedure (lasting typically 6-12 months) called radiofrequency denervation or rhizothomy can be performed. 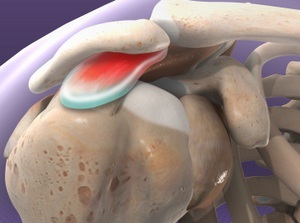 This procedure can be repeated if/when the pain returns. If midback pain radiates along the ribs, it may be due to herniated discs. This can be confirmed by an MRI of the thoracic spine. The treatment for that condition often includes series of thoracic epidural steroid injections. Other structures causing chronic midback pain may include muscles, ligaments, or bones called vertebrae. Treatment options may include myofascial therapy, acupuncture, osteopathic adjustments, physical therapy and exercise program among others. In some cases, patients may need to have a surgical referral to address the structural derangement causing their pain. The first question one wants to ask is whether the pain is worse in the upper extremities or in the cervical spine (neck) itself. Typically, pain that radiates from the cervical spine to the extremities may be caused by nerve compression caused by herniated discs. This type of pain is often worse with the forward flexion of the cervical spine. The other cause of pain radiating down to the arms could be a narrowing of the small pathways where the nerves travel called foramina. Both structural abnormalities can be confirmed by MRI of the cervical spine and may be treated with the series of the cervical epidural steroid injections. Neck pain that is not associated with radiation to the upper extremities called axial pain, is very often caused by inflammation or degeneration of the small joints between the back bones called cervical facet joints. 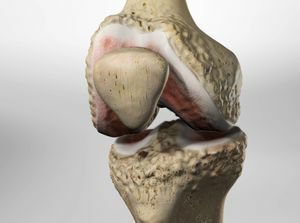 This is a form of arthritis that can result from injury or chronic wear and tear. The pain is typically worse with extension or rotation of the cervical spine. To confirm that diagnosis, patients undergo sets of two diagnostic injections with local anesthetics. 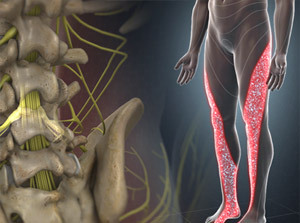 If each of the diagnostic injection provides even short-lasting pain relief (for a few hours or days), it confirms the diagnosis of facet arthropathy and more definitive, longer-lasting procedure (lasting typically 6-12 months) called radiofrequency denervation or rhizothomy can be performed. This procedure can be repeated if/when the pain returns. Other structures causing chronic neck pain may include muscles and ligaments. Treatment options directed to pain originating from these structures may include myofascial therapy, acupuncture, osteopathic adjustments, trigger point injections, physical therapy and an exercise program among others. 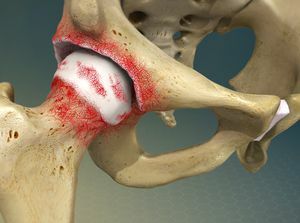 Joints form the connections between bones and are made up of cartilage, ligaments, tendons, bursas (fluid-filled sacs that help cushion the joint), and a membrane (lining of the joint capsule that secretes fluid to lubricate the joint). Any damage to the joints from disease, injury, or wear and tear can interfere with movement and cause pain. Many different conditions can lead to painful joints, including osteoarthritis, rheumatoid arthritis, bursitis, gout, strains, sprains, and other injuries. 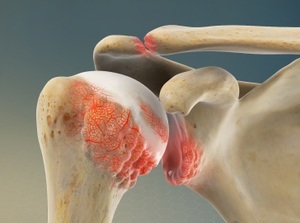 As we get older, painful joints become increasingly more common. Joint pain can range from mildly irritating to debilitating. It may go away after a few weeks (acute), or last for several weeks or months (chronic). Even short-term pain and swelling in the joints can affect your quality of life. Treatments often include physical therapy, injections, acupuncture, low level laser therapy, diet and lifestyle modifications, and if severe, surgery. Headache is pain in any region of the head. Headaches may occur on one or both sides of the head, be isolated to a certain location, radiate across the head from one point, or have a vise-like quality. 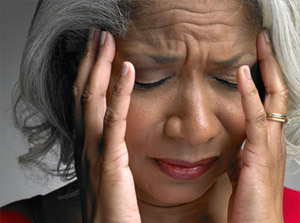 A headache may be a sharp pain, throbbing sensation or dull ache. Headaches may appear gradually or suddenly, and they may last less than an hour or for several days. The most common types of headaches are migraine, tension-type, cluster, and sinus. Each has a different approach to treatment, however many can respond well to therapies such as acupuncture, myofascial release, and certain nerve blocks. Complex regional pain syndrome (CRPS) is severe, spreading chronic pain with redness, fluctuating skin temperature, and sometimes changes in body hair and nail growth. These issues make it hard for most patients to use their affected arm or leg, the body parts that are most often impacted. Most cases of CRPS develop after an injury to a limb. Because CRPS can cause the arm or leg to stiffen over time, the pain usually worsens without treatment and makes movement more and more difficult. For these reasons, early diagnosis and the right treatment are critical. Treatment of CRPS requires multiple therapy approaches carefully coordinated by physicians and therapists who are experienced in this complex condition. Do you suffer from untreated pain? Acupuncture involves the insertion of very thin needles through skin at strategic points on your body to stimulate an beneficial effects. One of the more studied uses of acupuncture is for the treatment of pain. Low-level laser therapy, or cold laser, is a painless treatment producing no heat or discomfort. The therapy can stimulate areas of the body to restore normal cellular function to damaged tissue beneath the skin. It reduces inflammation and aids the body's natural ability to heal itself. It often takes 10 or more sessions before the effects are seen. Doctors of Osteopathic Medicine (D.O.) are physicians who use traditional medicine to treat ailments. In addition, osteopaths are trained in the use of hands-on manipulation to treat musculoskeletal disorders. In this way, osteopathic treatment balances the muscles, nerves and bones in order to encourage the body’s own inherent healing abilities. 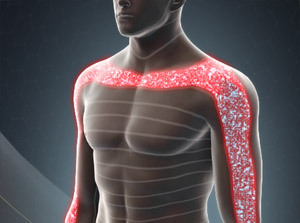 Myofascial therapy is a type of safe, hands-on treatment that focuses on pain arising from myofascial tissues (the tough membranes that wrap, connect and support your muscles). The therapy focuses on reducing pain by easing the tension and tightness in the tender muscular areas of your body. The techniques applied in myofascial therapy decrease restricted movement leading to reduced pain and improvement of symptoms. It can often take a number of sessions for lasting relief. Our philosophy is to properly diagnose and treat the cause of pain rather than mask symptoms with opioid pain medications. Numerous agencies and pain societies have determined the risk of abuse and addiction outweighs the benefit of their long-term use. If, after evaluation, patients are found not to be candidates for opioid pain medications, they will be slowly weaned off. The Central Coast Functional Restoration program is a rehabilitation program for chronic pain sufferers that aims to increase or restore physical functioning, improve pain coping skills, promote the return to a productive lifestyle at home or at work, and return to social activities. Our goal is to treat the whole person, recognizing that pain and disability affects all aspects of a person’s life. Each patient enrolled in the program participates in structured daily activities and receives individual case management, tailored psychological counseling, and physical therapy as needed. Pain is a complex experience that requires specialized knowledge, substantial time, and access to professionals that include psychologists, exercise and physical therapists, and other healthcare professionals who can offer extra physical or mental therapy while the physician continues to orchestrate the whole therapeutic process. Close communication between all participating professionals is mandatory. To schedule as a New Patient, please have a referral forwarded to our office and someone will call you to schedule.